1. BERIMAND1 BREEDEN was born 1827 in Ohio (Source: 1850 census,Scott County Iowa. ), and died in California ?. He married (1) MARGARET ELIZABETH SUITER May 14, 1846 in Lawrence Co. OH (Source: Lawrence County, Marriage Records, Vol. 40-5, 1843-1847, page 55, no. 1916. ), daughter of MORDECAI SUITER and RACHEL SPARLING. She was born 1829 in Scott County, Illinois, according to census records. Mordecai’s other children were born in Lawrence County, Ohio so Mordecai must have gone to Illinois and then back to Ohio before going to Iowa. Margaret died before 1860 as that is when Berimand married her cousin, Elizabeth.. He married (2) ELIZABETH DEMARIS SUITER October 11, 1860 in Keokuk Co. IA (Source: Keokuk County, Iowa Marriage Records, Book 2, page 100, Ceremony performed by David Bowes, V.D.M..), daughter of JEREMIAH SUITER and ELIZABETH ROBERTSON. She was born June 25, 1837 in IL. Names of children from 1880 census. ii. ALICE JANE BREEDEN, b. May 24, 1849, Independence, Buchanan Co. IA (Source: IGI. ); d. June 26, 1918, Independence, Buchanan co. IA (Source: Ancestry.com - Gene Pool records. ); m. ? CHAPMAN; b. Abt. 1845.
iii. RUTH A.2 BREEDEN, b. 1862, IA. iv. MARGARET E. BREEDEN, b. 1863, IA. v. JAMES E. BREEDEN, b. 1869, IA. vi. GEORGE A. BREEDEN, b. 1873, IA. vii. AIDIE BREEDEN, b. 1876, IA. viii. EDA M. BREEDEN, b. 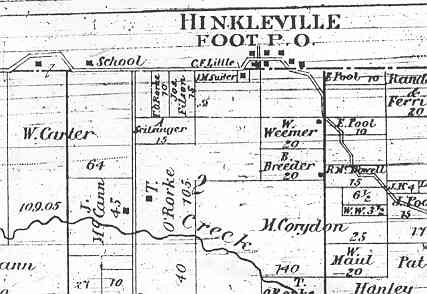 1878, IA. ix. ELIZA A. (?) BREEDEN, b. 1879, IA.